Making oil for home consumption or even commercial use has never been any easier. Gone are the days when oil was processed out of palm fruit or sunflower using hands, today we have a piece of technology called the palm oil machinery. 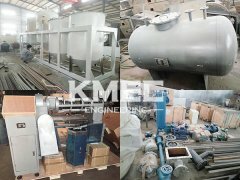 Using the palm oil machinery does not only make the oil of better quality, but it also saves time and also enables us to process bigger quantities of oil effortlessly in the same time. 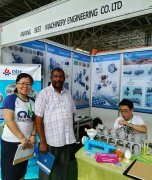 You can extract oil from palm fruit, sunflower and so on with limited technical knowledge required meaning you can make your oil at home and all you will need is your sunflower or palm fruit, some water to be used in the process and the palm oil machinery. 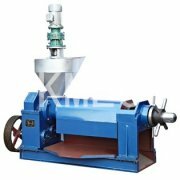 In this post, we shall go through how to extract palm oil from palm fruit using an palm oil machinery. The process can be a little more detailed but I'll focus to make it short and precise. Bunches of fresh palm fruits that have just been picked are fermented which helps to keep the fatty acid low which at the later stages of the production process will make the subsequent stages more efficient. 2. The palm fruit is then digested which basically involves the splitting of the cells that carry the palm oil. The digestion process is carried out by a digested which is mechanically designed to pound the palm fruit. All this pounding is done at somewhat a high temperature with the aim of keeping the thickness of the palm oil low. It is also during the digestion stage that the exocarp or the outer covering of the palm oil is broken and the oily cells are exposed for processing. 3. Extraction of the palm oil. 4. Next in the process is the stage where the oil is separated from all the impurities in the crude oil. At this stage the palm oil still has some traces of water and some small solids which make the oil thick. To reduce on the thickness of the palm oil, hot water is added. The hot water serves the purpose off reducing on the thickness of the palm oil. This addition also causes the solid in the palm oil to go to the bottom of the tank while the pure oil begins to come out of the watery mixture. 5. The mixture is then screened and boiled to have the fiber solids settle at the bottom and pure palm oil settles at the top of the mixture. This clear oil is then filtered off to the reception tank. It is then reheated to have very pure oil which is skimmed off as the final product.